UFO Memorabilia Collection - Meccano Magazine July 1971. An artists impression of Interceptors over the moonbase. This is the same picture as is used on the inner display box of the Dinky Toys Interceptor model 351 ( first release ). Meccano was the parent company of Dinky Toys. 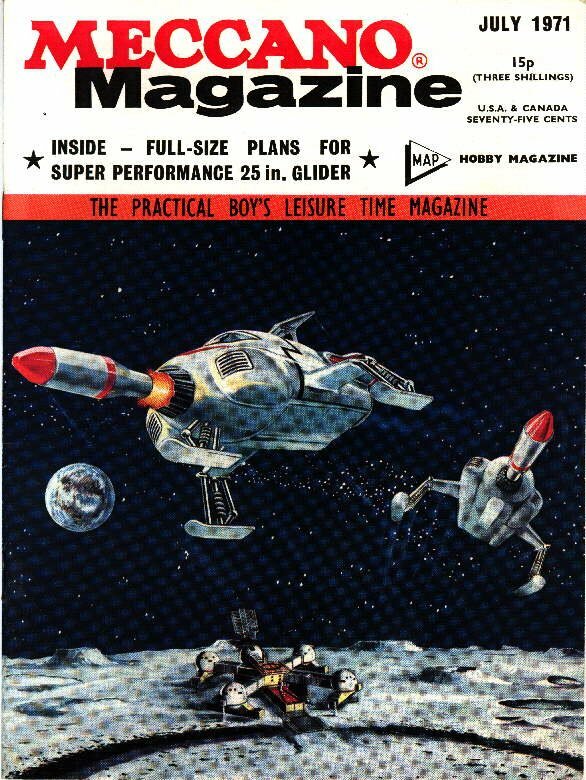 The magazine contains no other UFO related material.